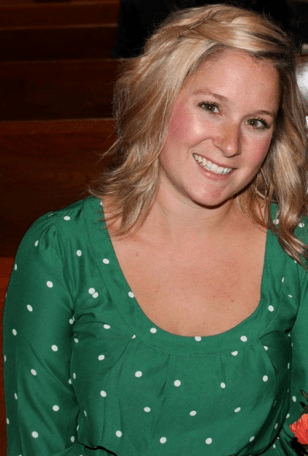 Emily is the CEO and Founder of Charlotte’s Best Nanny Agency. She works every day to provide the best nanny and domestic placements to families in Charlotte, North Carolina, and South Carolina. Emily has over 15 years of Nanny and Household Management experience, working for busy C-Level Executives, as well as close to 20 years of babysitting experience in the Charlotte Metro area. In addition to Emily’s hands on experience in the field, she has now been placing nannies and other domestic professionals in the area for 6.5 years and counting. Emily is a Native Charlottean and a graduate of Johnson & Wales University in Charlotte, NC. She has an Associates Degree in Fashion Merchandising and a Bachelors Degree in Business Management. Owning and operating Charlotte’s Best Nanny Agency has been a dream come true for Emily. She is passionate about the nanny and domestic placement industry in Charlotte and the Carolinas. Emily works every day to encourage nannies in the area to reach their full professional potential. To do this Emily works closely with nanny and domestic professionals in the area to provide FREE to low cost professional development trainings and coaching. The following publications have allowed Emily to share her expertise on the nanny and domestic placement industry in Charlotte and the Carolinas: Charlotte Observer, Charlotte Parent Magazine, and South Charlotte Macaroni Kid. Emily has used these opportunities to educate families, nannies and domestic professionals on industry standards. In addition to her dedication to professionalism regionally, Emily is a member of three professional nanny & domestic staffing associations, The APNA, The INA, and The DEMA. These organizations are nationwide, and encourage professionalism not only regionally, but across the United States. Emily is dedicated to providing a placement agency that provides the best professional nanny and domestic placements in Charlotte, NC and SC and looks forward to working with your family soon. I am happy you have decided to utilize Charlotte’s Best Nanny Agency to find your next nanny or domestic employee. As a native Charlottean, I have seen our beautiful Queen City grow into a major metropolitan area. It is my mission to provide a superior nanny and domestic placement experience for every family and nanny. We customize every placement to fit each family’s unique needs. It gives me great joy to see our families and nannies and domestic professionals in a successful placement. I understand that we are recommending someone to come into your home every day, care for your children and home, and most importantly meet the needs of your family. Every placement is treated as if I were finding a nanny for our own family. I am here 100% for families and nannies throughout the entire placement process, and for years to come thereafter. If you ever have any questions or concerns about Charlotte’s Best Nanny Agency, feel free to contact me anytime via email, or by phone. 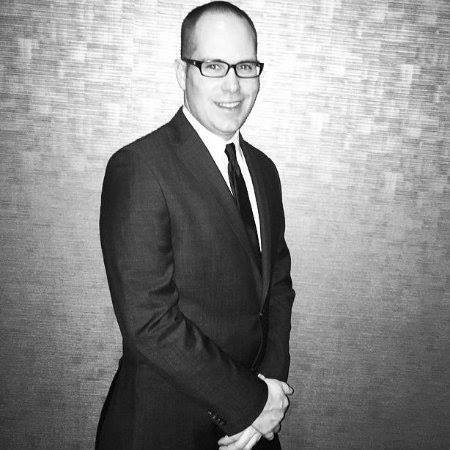 Joshua Miller has a deep passion for successful Nanny & Domestic matchmaking. As a dynamic member of the CBN team, Joshua serves in versed roles as Operations Manager and Key Internal Idea Innovator. Joshua attended Gaston College in Dallas, N.C. and is a NC Certified Firefighter & Swiftwater Rescue Technician. Joshua brings over 15 years of diverse corporate operational experience to our team. His background includes human capital management, marketing, hospitality, public safety, security, and executive concierge services for busy C-Level Executives. His attention to detail is unmatched, after spending almost a decade at the prestigious Charlotte law firm of Moore & Van Allen, PLLC. His role at CBN is to pre-screen, evaluate, and place candidates, manage marketing campaigns, community outreach/relations, coordinates CPR, First-Aid, AED, public safety, and security training programs. Joshua also assists in continuing education programs for our nannies, domestic staff, and candidates. Feel free to contact Joshua with any needs or questions. Samantha is a integral part of the Charlotte’s Best Nanny placement team. As a Domestic Talent Recruiter, Sam is dedicated to recruiting top-notch nanny and domestic candidates. Sam conducts quality and insightful pre-screening interviews with our nanny and domestic candidates. Sam comes to us with a degree in Marketing from Johnson & Wales and has many years of experience in the local hospitality, marketing, and babysitting industries. When she is not interviewing and recruiting nannies and domestic staff, she enjoys hiking, spending time with her pug, and exploring all the fun places in NC. Elizabeth Forscutt is a House Manager in Charlotte and has worked in the Nanny and Household Management field for almost a decade. She is key part of Charlotte’s Best Nanny Agency’s team as our Nanny & Domestic Talent Recruiter, resident blogger, and social media maven. Elizabeth brings us a unique inside perspective on the nanny and domestic employee industry in the Charlotte metro area and around the Carolinas on our blog weekly. Elizabeth fills us in on childcare related topics, fun things to do around town, and more fun topics for families, nannies, mannies, and domestic workers in the Carolinas and beyond. In her spare time, she pet sits, painting, enjoys live music and enjoys traveling.